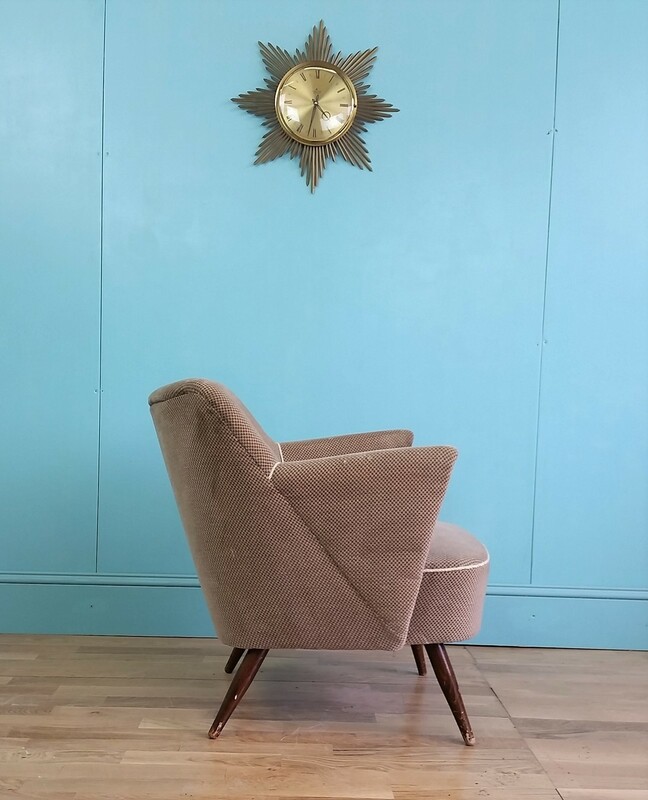 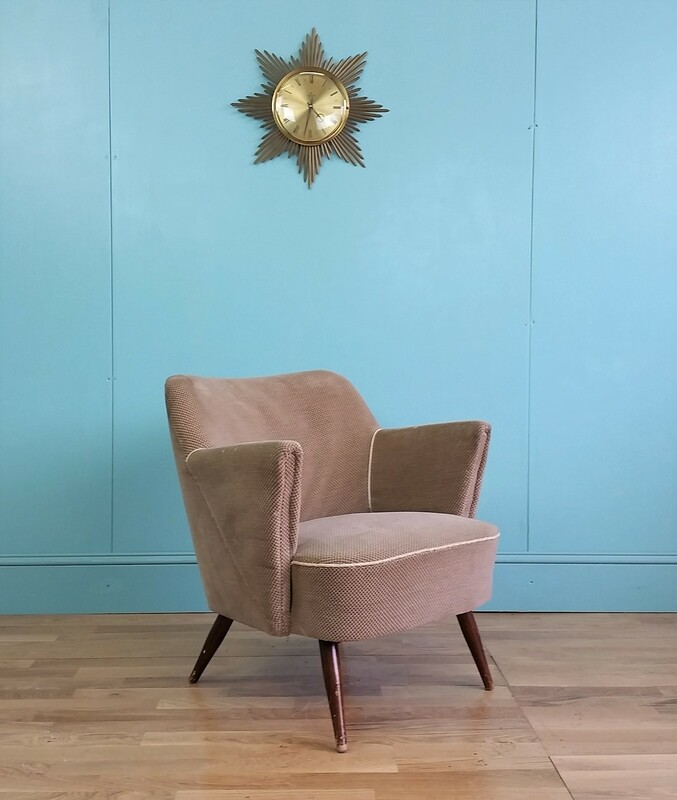 This German cocktail chair circa 1950-1960 is in good vintage condition. 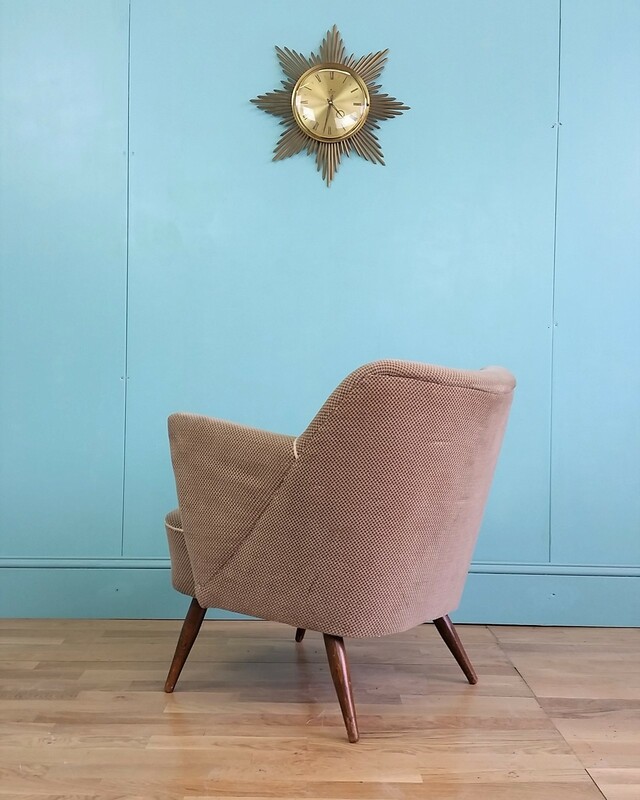 The chair has a solid frame, a firm seat and has beech tapered legs. 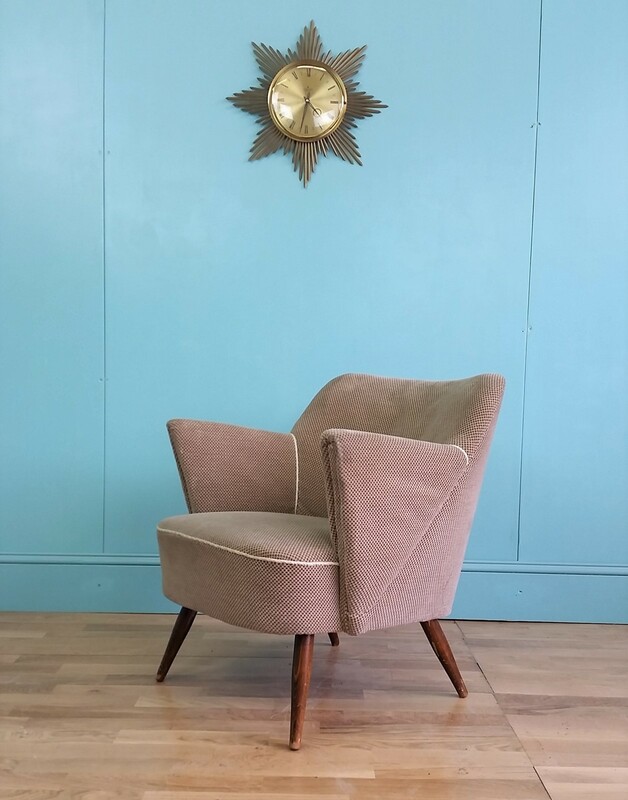 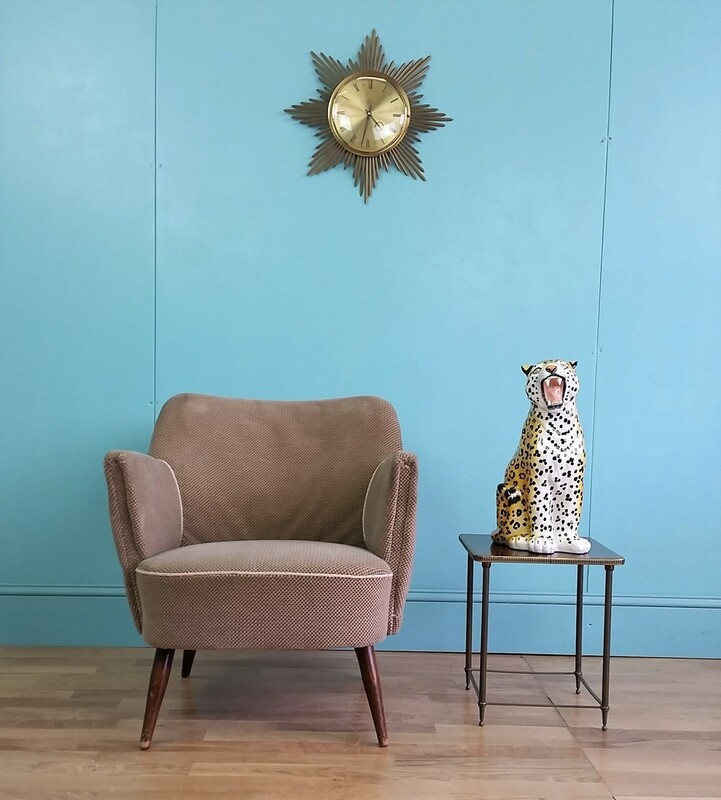 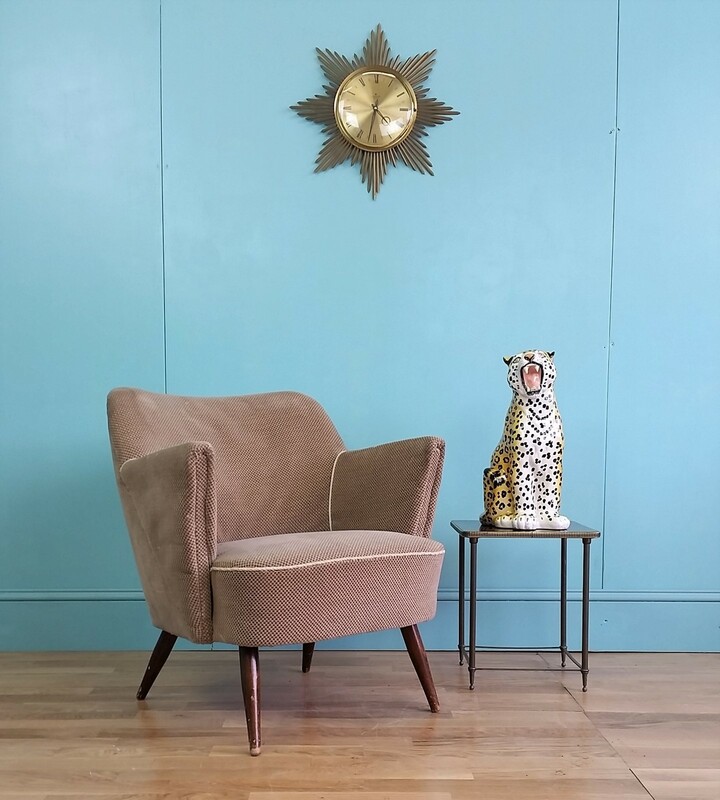 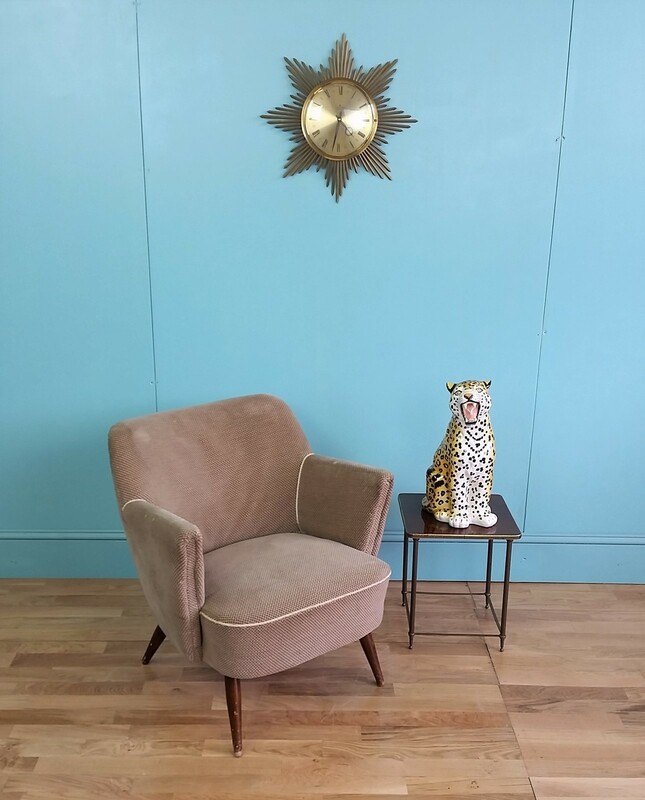 The chair is upholstered in the original beige fabric, which shows age related wear and tear but is in general good condition.